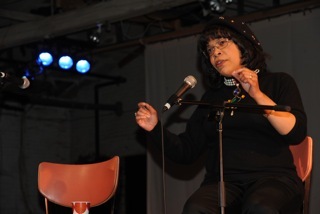 Terri E. Lyons is an author, poet and public speaker. She has written several books describing the experience and wisdom of her life and that of her elders. Through those experiences she captured the range of humanity in her compositions of biography and poetry. Terri was born in Philadelphia, Pennsylvania and attended Philadelphia public and private schools. She is a graduate of Harcum College in Bryn Mawr, Pennsylvania and pursued a career in science. After twenty five years in the corporate environment, Lyons’ intellectual and spiritual famine left her craving for jazz and history that reemerged with vengeance. 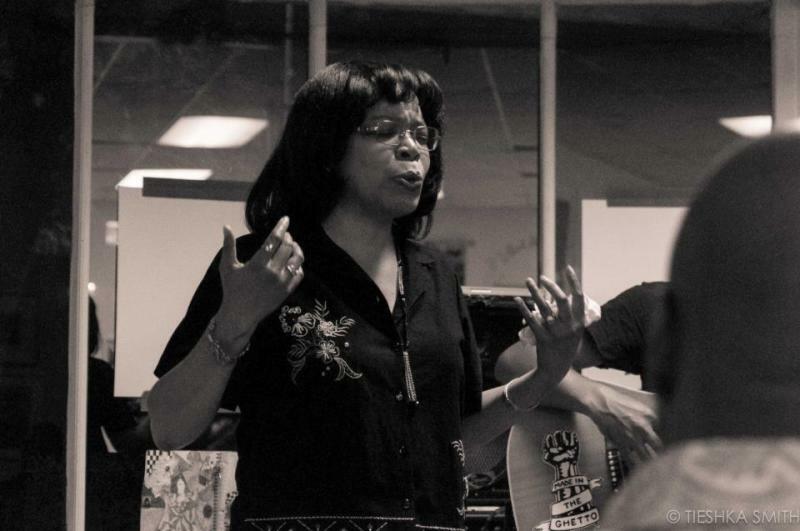 Terri began performing at open mics and cafes. Her emphases are history, music and the range of humanity that enriches the quality of life. It wasn’t long before she was asked to perform her work at elementary and high schools. 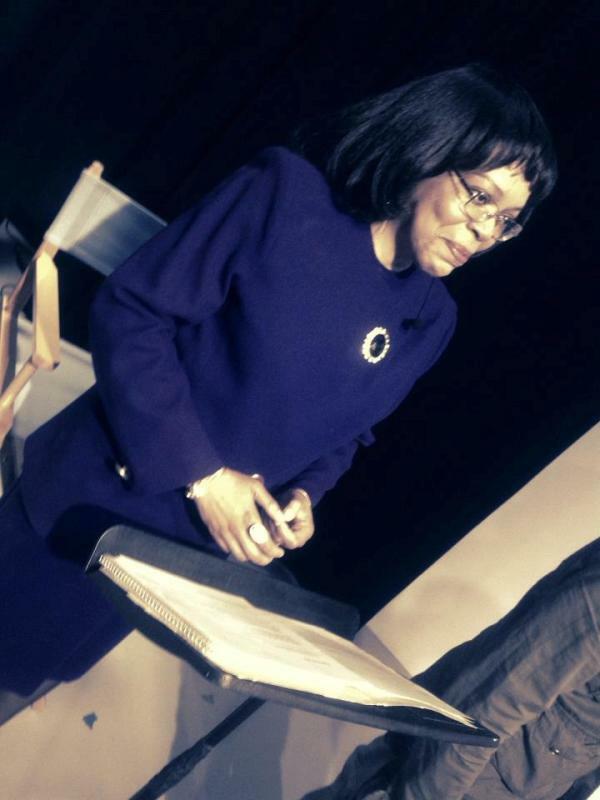 She was keynote speaker at Martin Luther King class reunion in the fall of 2009 capturing the history of the school and the culture that surrounded it. She soon found herself center stage at the Clef Club, The Performance Garage, art galleries, family reunions, churches, and nursing homes. Terri was guest speaker for graduating class of 2012 at Gompers Elementary school inspiring youth to own their education. Summer of 2012 Terri was narrator for the historic Lisa Hopkins play Sittin In and took part in the International Day of Peace in the fall of 2012 bringing critical thought in the spirit of prose to an attentive audience. In collaboration with photographer Tieshka Smith, Terri’s poetry enriched striking visual exhibits of urban life often ignored in social discourse. Poetry Mash-up was featured in October, 2012 edition of Certain Circuits, a magazine highlighting the arts. She soon was asked to do a solo performance. It Has Always Been About Race was the theme of another visual artist where Terri featured her One Woman Show reciting a timeline of history from the Civil War to Civil Rights in the spirit of poetry and prose. It was followed by an encore performance in November of 2012. May 2013, Terri presented Spoken Word to the annual luncheon for the Delaware Valley Association of Black Psychologists; A Celebration of Yesterday, Today and Tomorrow. Her prose set the tone for continued focus on our history as a function of youth empowerment. She gave homage to the late Reverend Leon Sullivan at Progress Plaza celebrating his life and legacy. In June, she again gave inspirational readings to the class of 2013 in the Wissahickon School District at a Scholarship Luncheon. 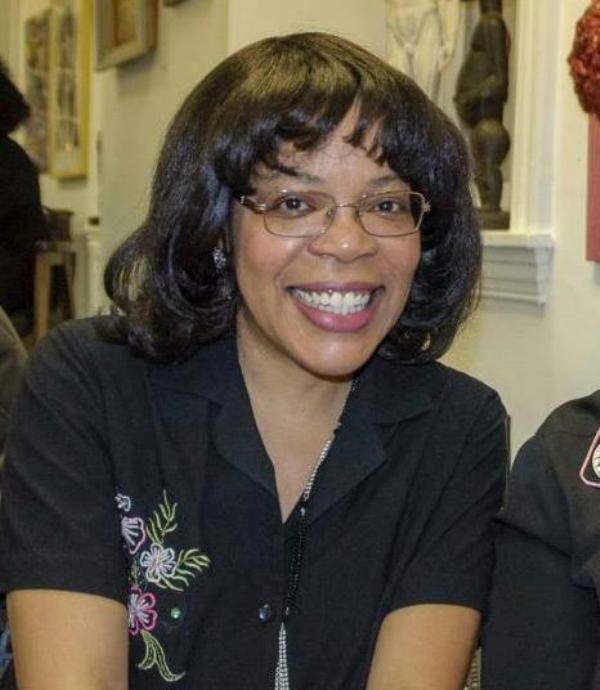 Terri has had several radio interviews on WRTI, 90.1FM with the late Harrison Ridley Junior, WURD, 900AM with Dr. Lucille Ijoy and then began hosting her own radio show on Blogtalkradio. She has just completed her debut on Public Access Television Series Accentuate. Rehearsals were covered WHYY Newsworks. The show is due to air in the fall. As demand for her stories grew, Terri was inspired to write her first play entitled Kitchen Table Chats. It is from the first two books she authored giving a real life perspective of historical roots and Philadelphia life during the 1960s and 70s. Terri recently won first place Award for Best Storytellas in Town Contest for her essay Dimensions in Music. Her memoir gave resonance to discipline and freedom, beauty and elegance in the language of music the moved the OSAAT Entertainment Board from laughter to tears in celebration and honor of the pioneers of composition. Presently, Terri is opening act with CSN Productions, in Philadelphia. Terri is committed to her ancestors to tell their story and to keep their place in history. She is also committed to the treasure of humanity that struggles to find its place in a culture that challenges its voice and growth. A: I’m currently working on my first play, entitled Kitchen Table Chats. It is a combination between my first two books; Let Me Tell You What Mama Said and Take it from the Top. 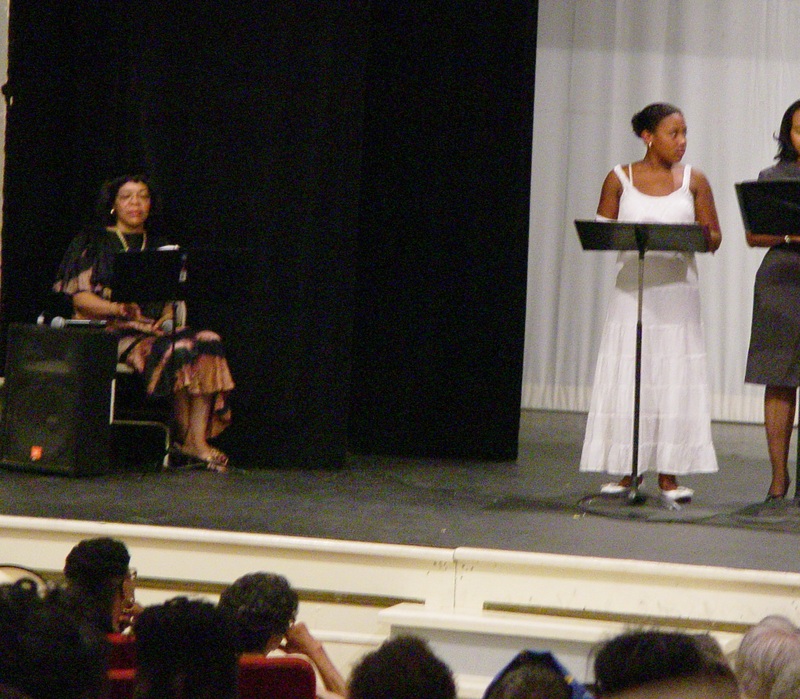 It’s a play about how I learned about my family history; my great-grandparents being slaves as children. It also highlights the beginning of my parent’s musical career and burgeoning black middle class in Philadelphia. Q: What themes and concepts does your work generally revolve around? A: History and critical thought. I’m passionate about history. Not necessarily the kind that is learned in school, but the history that can only be learned from our elders. It gives a basis for critical thought when combating our social issues of the day and enriches us with wisdom needed to guard ourselves against the bombardment of nonsense that’s difficult to escape. We always hear about the great people and the trailblazers, but hardly any regard for everyday people. They are the gems of our society. Critical thought is imperative to not only survive, but to break generational and social dilemmas. We can look at the past and clearly see where ignorance and negligence created and maintained unfair conditions. I believe if we look at history and apply critical thought with some measure of honesty and equity, perhaps we can spare ourselves needless adversity. Q: Have you been published? Self published? Do you have a blog dedicated to your writing? I recorded my first CD, A Night of Poetry and Jazz, 2011. It is available on Amazon.com and iTunes. I have a matter of fact style, almost like a short conversation. My main objective is to get an accurate account of historical events and culture. I like to set a picture in the mind of the reader and take them with me on my expedition into the past. I’m still perfecting my technique. Some of my poems are actually short stories or chronological overview of history. Others explain the meaning behind wise sayings I heard from my youth. For example, Fattnin’ Frogs for Snakes and A Heaps Sees, but a Damn few that Know. Loaded with what was called ‘Mother Wit’ coming from people with practically no education, but very intelligent. I give voice to scope of the spirit; pain, renewal, frustration and love. Q: What kind of creative patterns or rituals do you have? A: I have creative moments at anytime, sometimes inopportune. But I develop my thoughts and concepts at night. That’s when I’m able to think and reflect upon something I’ve heard or seen. The spark may come from a recent conversation or a profound moment such as the recent protest of Philadelphia youth for school funding. I try to give historical basis that enhance current events. A: I was born in West Philly and grew up in West Oak Lane. I am an only child and grew up with music, ballrooms and Thursday night rehearsal. I attended public and private school and spent many summers on Chicken Bone Beach in Atlantic City, New Jersey. My parents were musicians and because of that I was exposed to many different levels of social culture. I’ve spent most of my life sorting out contempt and empathy from all sides of the social scope. Q: When did you begin focusing on local history, writing and interviewing people? A: There were many reasons why and I’m not sure I can remember them all. I do remember my dissatisfaction with the change in culture. It was right around the Y2K craze. I didn’t like television anymore. Television and radio became homogenized in content and variety. I was working in corporate at the time and I could feel an oppressive cloud sit right on top of my head. I could feel the erosion of vitality and at times common sense. Daily monotony almost set me crazy. In a word, boredom was what drove me to look for something with purpose. Talking with my mother about the old times and the sensibilities that prevailed offered an oasis of sanity from the daily B.S. that infects us all. Our conversations planted a seed to explore more of history seldom told. We talked about music, The Great Depression, cabarets, elegant dances, the games people play, the way people talked. I wanted to get her story. That’s when I began to write. Q: What’s been happening in your life? What’s next? A: I had the opportunity to do a segment on Public Access Television for a series entitled Accentuate. I thoroughly enjoyed it and hope I can continue with it. I also had a successful script read for my play. The challenge now is bringing it to the next level. I’m almost finished with my sixth book entitled ‘Escapades.’ I plan to have it done in the fall. I’ve been guest speaker for various events and scout about town performing open mics. Q: Is any of your work political? A: Some of it may be interpreted as political. There are some events from history that have been wiped out of text books and social consciousness. For example, I wrote a poem entitled Red Channels. It’s a brief description of the McCarthy era and the damage it did to people. I make a vague connection between that time and today to get people to critically think about the context of propaganda and control of perception. In other words what are the lies we’re told today conveyed as truth? Q: What are you trying to communicate with your work? A: I want people to think and stretch their mind out of the one dimensional culture. Our society, in my opinion, makes it difficult for people to think outside of themselves and beyond the world they live in. If we can understand some of our past, perhaps we can see our present condition with greater clarity and therefore make wiser choices. Q: What is one of the biggest challenges you face? A: The biggest challenge for me is acquiring a support staff and of course funds to pay them. Q: How has the meaning of your work changed over time? A: Suffering has increased and solutions have decreased. In my anger and despair of people suffering from the lies and theft of others, I’ve become more passionate about the condition of the human spirit and the contradictions from hegemonic powers that seems to insist on our complicity to our demise. My work has changed as I have become aware of the depths of poverty silently destroying loving families and killing dreams in bright young minds. Not just economic poverty. We’re plagued with impoverished spirits, intellect, empathy and social cohesiveness. There is not enough said about that. On a brighter note, I revisit the good times people had. As difficulties increase, it’s important to have a laugh and remember a time when fun was free from structure and free from violence. Q: What do you dislike about your writing? A: Sometimes I just can’t seem to make my thoughts fit in a neat, smooth and profound package. I like the points I make, but work on achieving wholesome texture and flow. Q: Which creative medium would you like to pursue but haven’t yet? Independent film and a national tour. A: I would love for my play, Kitchen Table Chats to be on an off-Broadway stage or independent film. Q: Are you involved with any organizations? Do you collaborate with other writers? A: I am a member of a couple of organizations for artists in general. I like being around writers, musicians, actors, singers, playwrights, etc. Interaction is alive and exciting and keeps me abreast of what’s going on. They all have something to offer that’s worth time and attention. Q: What are some misconceptions people often have about you? A: Some people view me as anti-social. I am mostly a loner, but I do enjoy people. I am not a fan of small talk or idle pastimes. I do not like hours of dishing dirt on people and find it difficult to converse with those who do. Rather, I enjoy people who are progressive in thought and action; people who make me think or re-think a perspective about an issue or idea with intellect and care. I like people who may say something that had never crossed my mind or share an experience I’ve never had. If I find myself having the same conversation too many times, I rather stay home. A: I listen to jazz and sometimes oldies. My favorites are Billie Holiday, Johnny Hodges, Miles Davis and Teddy Wilson. Q: What was the last show you attended? A: A colleague of mine produced a play entitled 3Divas3! It is a musical and I was part of her running crew. It was fabulous. I was narrator for a play entitled ‘Sittin In.’ It is about the events leading up to the Woolworth Sit-in in Greensboro, N.C.
A: I read my bible almost daily. In addition I’m reading Ken Burns Jazz and Data Smog by David Shenk. A: Eric Jerome Dickey, Terri Macmillan, Alice Walker, and the late E. Lynn Harris, Toni Morrison. A: James Baldwin, Ralph Ellison, Studs Terkel, Howard Zinn, Noam Chomsky, Ken Burns, Maya Angelou, Amy Goodman.